I’ve been blogging about the Trump/Intel Community feud for awhile and it’s hard to even keep up with this issue and things have now taken a drastic turn and escalation. The Guardian is reporting that last month Senator John McCain handed over documents to the FBI Director James Comey that allege that Russian contacts had secret meetings with Trump’s campaign staff and that the Kremlin had “compromising material” on Trump himself from his stay in Russia during the Miss Universe pageant. The documents date back to June of last year and were predicting events that came to pass such as turns in Trump’s campaign on policies affecting Russia. 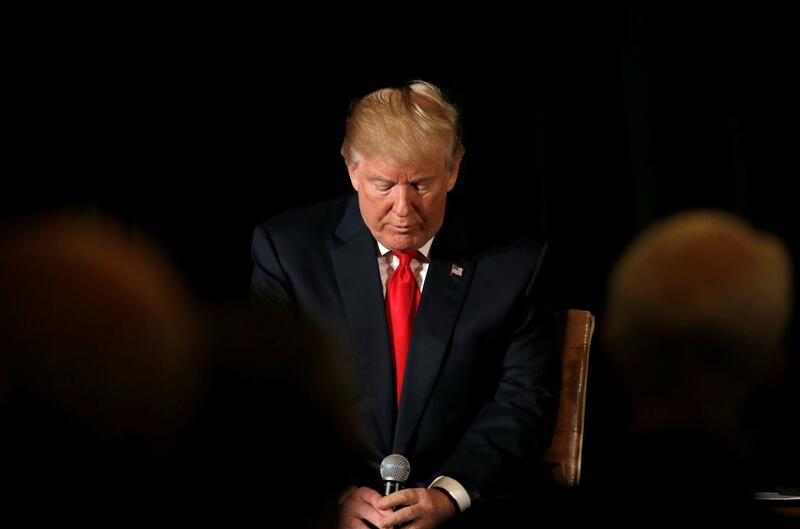 One of the reports claims that Trump had been targeted by Russian intelligence for at least five years with the goal to cause “splits and divisions in western alliance.” The documents also claim that Trump and his inner circle regularly accepted intel on his Democratic rivals and that the FSB had compromised Trump enough that it could blackmail him. The FBI is investigating the credibility of the documents but Comey is also under fire because he reportedly had information on the Trump/Russian connection and was investigating Trump campaign officials meeting with high-level Russian contacts as far back as October 2016 but didn’t make the investigations public but did discuss how the FBI was investigating Clinton’s emails. McCain claimed that he didn’t want to be involved at first for fear it would be seen as a partisan attack but felt confident in the source of the documents. The reports also indicate Russia hacked the Republicans as well but have chosen to not yet release the material. Trump was also briefed last week by intelligence officials about this as was President Obama. If all these allegations are true it would be unprecedented. We are talking about a major human intelligence (HUMINT) move of the kind not seen since the days of the Cambridge Five, when Moscow had five of its agents placed in high ranking British intelligence positions for years. We are talking about the possibility of a U.S. President being blackmailed by a foreign government and working for their interests. It’s a major intelligence success for Russia if true and also reveals that Russia is not just playing cyber warfare games, but reviving and boosting its human intelligence operations to try and penetrate the highest offices in Western countries. We could be entering a new era of HUMINT of the kind not seen since the Cold War and a revival in the search for Russia spies. The key here is if the sources can be verified. The report is being taking seriously but until intelligence agencies can chase down and verify sources and information, the report is not yet considered “finished” intelligence and even if it was, things like this don’t usually get into the public because they cause a panic. Still, an investigation may reveal some of it is bogus, some true and some maybe explosive. Interesting times to say the least. An Exceptional Law showcases how the emergency law used to repress labour activism during the First World War became normalized with the creation of Section 98 of the Criminal Code, following the Winnipeg General Strike. Building on the theoretical framework of Agamben, Molinaro advances our understanding of security as ideology and reveals the intricate and codependent relationship between state-formation, the construction of liberal society, and exclusionary practices. Ranked Number 3 on The Hill Times 100 Best Books of 2017. 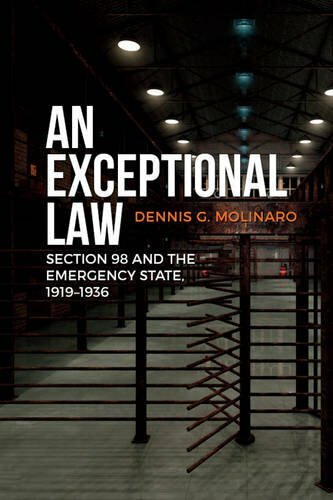 "An Exceptional Law: Section 98 & The Emergency State 1919-1936 is a very readable, incredibly well-researched study of Canada’s wartime-derived, but peacetime-continued sedition laws of early 20th century. But the book is of much more than historical interest. As they said in Battlestar Galactica: All this has happened before and will happen again. My copy is marked-up where I noted parallels to current immigration and anti-terror laws. … I highly recommend this book." © This website and all its content is protected by copyright. Copyright © 2017 Dennis Molinaro. All rights reserved. Photos sourced as indicated.